At Ace eComm, we are familiar with the complexities of NetSuite Product Data Entry, and have a comprehensive and effective strategy to spearhead all the hurdles which come in the way of your ecommerce store’s success. Our professionals can smoothly extract crucial product information from a diverse range of sources such as printed catalogs, online catalogs, PDF files, scanned images, manufacturer’s website and other reliable online sources. We can comfortable add crucial product information such as title, description, prices, SKU, UPC, images, quantity, product URL into your Netsuite backend system. 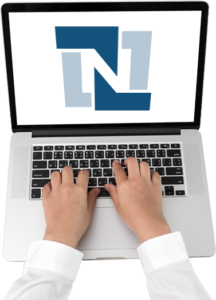 Our NetSuite Bulk Product Upload Services are specially designed to ease the process of bulk product uploading. With the use of latest bulk listing softwares and CSV files, we can upload hundreds or even thousands of products without any wastage of time and energy. With proper categorization and subcategorization of your products, we can display your products in a systematic fashion. Thus customers would be able to locate your products more efficiently and swiftly. Our Image Editors can add HD images to increase the visual attractiveness of your NetSuite Store. We can also create, enhance, resize, edit and crop product images as per the clients requirements and demands of the particular project. A well written and unique product description ensures that customers are in the complete know-how of the products. Hence, our enthusiastic Content Writers will pen down amazing yet easy-to-read product descriptions. While doing so, they strongly adhere to SEO guidelines to increase your rankings on search engines. We’ll also create your product page URL, product meta title, description and make it rich in SEO keywords to generate considerable amounts of traffic. We will utilize the upsell and cross-sell technique to promote related products and accessories to increase sales possibilities. We can also help you with inventory management. Our experts will consistently monitor the manufacturer’s website to keep a regular check on the product’s availability to ensure that customers are receiving accurate information. We will also review the product’s prices in real time to keep your NetSuite Store page updated. We will continuously analyze your competitor’s websites to see what prices they are offering. This would ensure that you offer the most competitive prices to your buyers. Through our NetSuite Back Office Services, you will receive our full assistance in the form of 24/7 customer service, email chat support or any other mediums of communication which you are comfortable with.